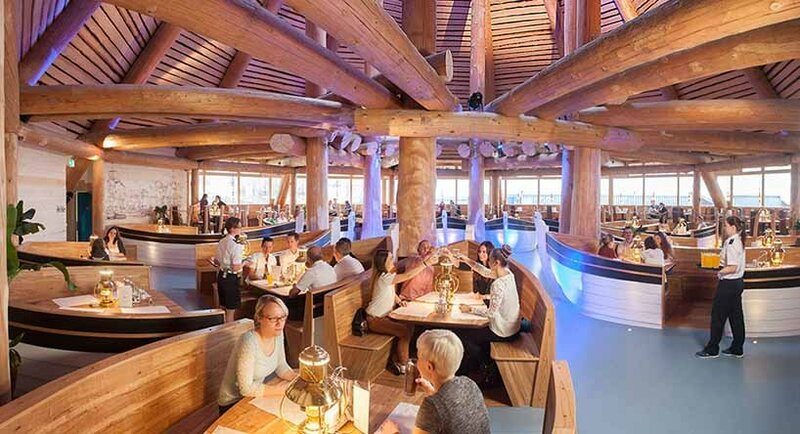 The Hafen restaurant in the Hotel Victory Therme Erding immediately creates the feeling of being in a Mediterranean harbour for every visitor. 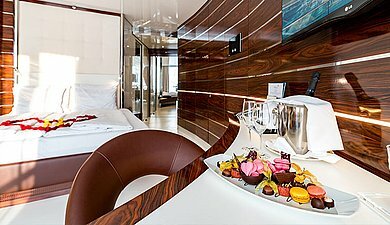 Get the feeling of being on a boat trip through high seas, while you enjoy your dinner. 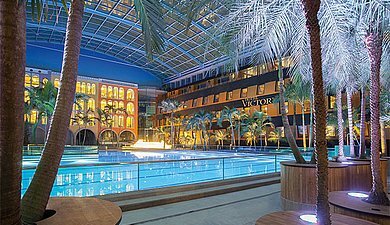 The room, otherwise used as a restaurant for the Hotel Victory and the Therme Erding, can be rented exclusively for events with up to 250 people. The light-flooded Hafen Restaurant has interior seating in boats and at tables, a long buffet counter and its own dance area, which is also suitable for a small stage. In the outdoor area there is also a wonderful wooden terrace, which is just as suitable for sundowners with music as for summer parties. This venue is ideal for corporate parties, big weddings in a special atmosphere and parties that take place both indoors and outdoors. Suitable for large events for up to 250 people.